Posted April 11, 2019 by Josette Farrell in Features. Striving to get the adequate mobility mix in Galway is not without challenges, as the overbearing pressure on Galway’s transport infrastructure is becoming increasingly evident every day. The plethora of solutions being put forward are, collectively, a positive step in the right direction, however, the argument has become polarised. This polarisation of “to bypass or not to bypass” should not be given so much mind, as it deviates from the positive thinking which could emerge with sufficient progress of agreeable solutions – preferably, solutions which are not subject to party politics and vested interests. With this, I have learned it is not about firing the magic bullet rather altering the situation sufficiently to make talk of a solution seem realistic, especially at present. 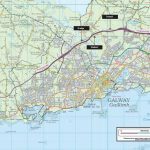 The final decision by An Bord Pleanála on whether to grant or refuse planning permission to the N6 Galway Outer Ring Road (aka the city outer bypass ) should make things clearer for beleaguered and weary commuters. However, among ourselves as Galwegians, our process must start with a candid and open minded set of discussions to find the right combination that could unlock the deadlock of traffic congestion. Factors such as socio-economic and environmental issues accompanying this heavy congestion must also be involved in finding the right mobility mix. On estimation at street level, the threshold of people who can enjoy being motorists and engage in auto-fláneur style driving leisure, share less than half the road space with those who have no other option but to use a car, and at an ever increasing cost of personal finance and health. Ideally, the drastic decrease of car usage would be the optimal step to take. This has major challenges from personal tastes to lobbying power. Public transport would be very much the ‘elephant in the room’, and will remain so, especially when we speak of light rail or a tram solution. I had designed a system based on the path of least planning resistance called SUIG – Sólás Uirbeach Iarnród na Gaillimhe – in case of the proposed bypass falling apart, to have a supporting plan for the city. In search of an ideal solution, I had to find compromise, as it is my belief that light rail is not supported widely enough across the city, county, and western region. Finding compromise led me to assess a combination of solutions, focusing on public transport, with the bypass or without the bypass. 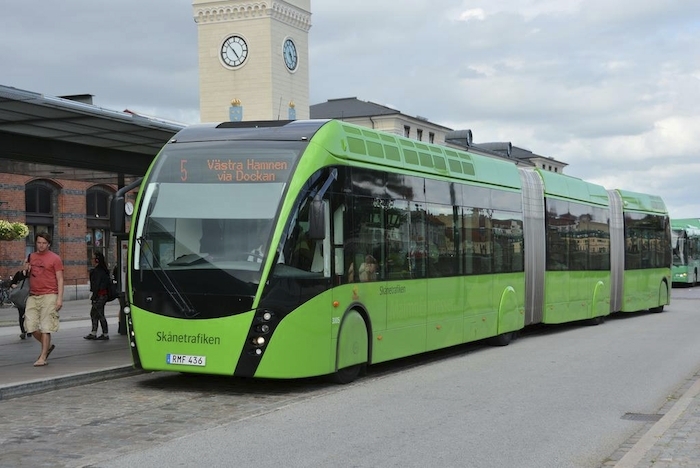 I then designed the U-NIP (Uilleann Bus – Nasc Iompair Pobail ) bus rapid transit system, which is a low carbon hybrid elbow bus system, styled like a tram, and evident in many other mainland European cities. It is my belief this system, with a better positioned bypass, would be the most optimal solution. The U-NIP system itself could be installed in a matter of months, with a few reconfigured thoroughfares, slight and strategic road widening, signal to junction lighting additions, and installations of stops. It could be a litmus test for a further more permanent light rail system. The bus rapid transit system has been recommended from the Galway Public Transport Feasibility Study in 2009, undertaken by MVA Consultancy. It outlined that a bus rapid transit system would be considerably cheaper to install. The U-NIP has been preliminary costed at €170 to €185 million for an installation proper, this figure is a much cheaper option than a full blooded light rail which could cost between €550 and €600 million to install. 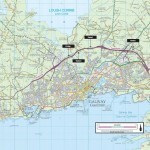 The immediate measures which can be undertaken for a reasonable amount of funding, are: enhancing the commuter rail infrastructure from Galway to Athenry (I had also designed a commuter rail proposal that can be completed for an estimated €20 to €30 million inclusive of four new platforms at Ballyloughane, Murrough, Roscam, and Oranmore Business Park ); the installation of passing loops at strategic points; removing more than 50 per cent of commuting car traffic from the city’s road infrastructure. This would be increased when the commuter rail line is integrated with a rapid free flowing bus system. Joseph Francis Kelly is a traffic solutions campaigner and the designer of the U-NIP bus rapid transit system. 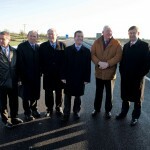 for more see issue.com/agpireland and A Real Public Transport System for Galway Light Rail or Elbow Bus System on Facebook.